Xootr scooters are now available in Toronto, exclusively at Rainbow Songs!! 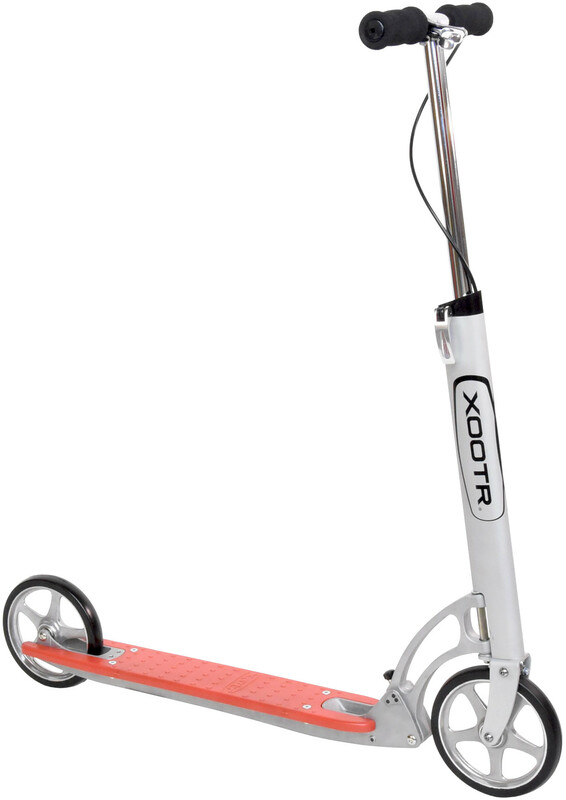 The Dash is the newest model in the Xootr kick scooter line-up. Some would think that this in our “entry level” model, but there is nothing entry level about it. This foot scooter is built on top of the same frame structure and uses the same large, fast polyurethane wheels as all our other models. The deck is made from a plastic material that is available in two colors: blue and red. Don’t be fooled by the plastic deck, the Dash push scooter can still support over 800lbs (363 kgs). The platform for the Dash manual scooter shares the same dimensions as our Roma model, so it offers the same slim profile allowing the kicking foot to stroke very close to the centerline of the deck for optimal bio-mechanical efficiency. The narrow deck also makes it easy to carry in crowded subways or buses and other tight quarters such as restaurants, shops, offices, etc. 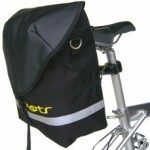 It is also a great choice for packing in suitcases to take with you on vacation or a business trip. The Dash delivers the same efficient kick and the ease of carrying as the Roma model, but with a lower overall weight due to the plastic deck. The longer deck allows you to fit both feet ‘goofy-style’ (one foot in front of the other) unlike other adult kick scooters such as the Razor A5 Lux, Know-Ped, or Micro. If you live in a cramped city apartment, often travel in and around crowded areas, or are just looking for the most affordable way to obtain the performance of a Xootr kick scooter, the Dash is for you. As with all Xootr scooters, the Ultra Cruz employs the patented steering and folding system for easy transport and storage.